“I didn’t go to nursing college to become a politician,” says the matron in her neat office in the facility she heads up. Nurse X has been working in the Free State health care system since 1988. She’s risen through the ranks over the years and has watched with a heavy heart as the department has slipped into a state of dysfunction – a casualty of gross mismanagement and too much political interference. She has a long list of what’s gone wrong: the exodus of established nurses from public health care; posts being frozen; nurses not being paid overtime for more than three quarters of last year; budgeting that has compromised the efficient running of institutions; private ambulances arriving to fetch patients without surgical gloves and drip kits, but “start charging you the minute they arrive”; intimidation from politicians who allow politicking to go on in hospitals and clinics, but prohibit senior personnel, like herself, to speak to the media. She doesn’t want her identity revealed because she says the politicians have become tyrants. At the same time she wants to talk because she says the truth must out and the department’s bloodletting must stop, because it costs patients’ lives. “I don’t want to keep quiet anymore, because it is the truth. And if the politicians want to deny it, they just have to come and speak to the patients. “Every night I go home and I tell my husband that I just want to go to work and be proud of the service that we give our patients, but I know that that’s not what we are doing,” says Nurse X. Her voice shakes and a few tears roll down her face. It hurts for someone who has dedicated her life to public health care. She apologises and composes herself. She clearly still manages a tight ship, even with the constraints. Her facility is spotless and well-kept and there’s a general sense of calm and order. She also doesn’t shy away from doing the heavy lifting herself when there’s work to be done. She does this too because she says in a medical facility you never know what kind of day you will have – emergencies don’t have a schedule. “We are often short-staffed and I know that my nurses cannot claim for more than 16 hours a month for overtime. So some days when there’s no one to help, I lock my hospital and go help with the patients – you have to be a jack of all trades to survive,” she says. Still, the difficulties have been immense and, she admits, at times even life-threatening for the patients. She tells of a period when nurses were not throwing away their surgical gloves in-between patients, resorting instead to disinfecting them and reusing them, such was the shortage of something as basic as surgical gloves. “It is just common sense that you never do that. It’s an absolute no-no, but there was just nothing we could do,” she says. She also tells of how the nurses at different hospitals and clinics work on their own system of trade – swapping out medicines with each other so that their supply cupboards and dispensaries can circumvent the central medical depot from whence their orders are returned with “Used Up” or “Stock Out”. “The medical depots have not paid suppliers, that’s why they often don’t have what we’re asking for. Sometimes it’s as small as some cotton wool, but they won’t have it and we are not allowed to buy directly from a supplier since they took away our budgets by 2004. “Before, if you were a certain salary code you could sign for certain supplies to be put to a quotation committee. Then they said only CEOs could do it. Then they said, no, it had to be decisions made by the medical depot in Bloemfontein. That is when things went wrong. Now we get quotations for catering from construction companies even – how can that be right? “But it doesn’t help to get on a phone to complain or to get cross. 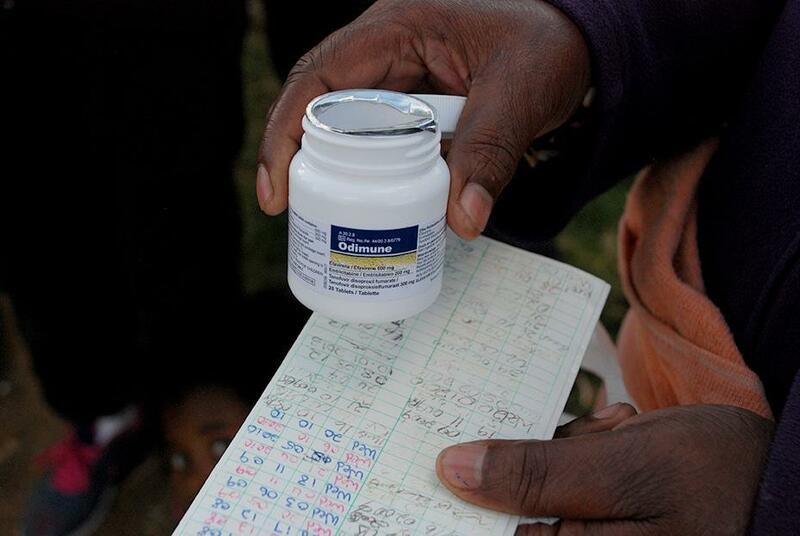 When we see that the supplies are low we will phone other clinics and see what we can trade,” she says. She says it’s increasingly tough to make any sensible decision and to stand in her authority as a professional, because intimidation and harassment by MEC Benny Malakoane is a very real. “Have you ever been in a meeting with him?” She asks. “He will tell you it’s his way, or you can get out. He’ll say: ‘There’s the door and you can pick up your paper from HR as you leave’,” she says. Previous PostPrevious Who will help the sick and needy?